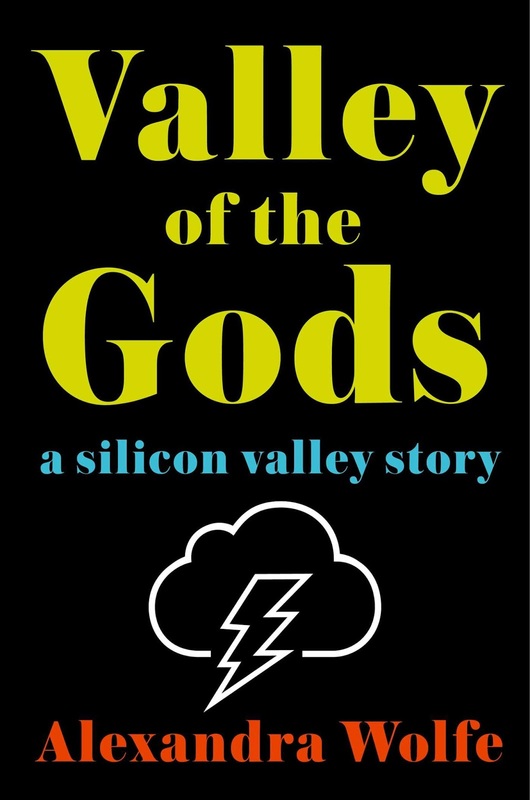 Alexandra Wolfe’s debut book, Valley of the Gods, takes aim at the ambitious world of Silicon Valley. A staff reporter for The Wall Street Journal, she writes the weekly column “Weekend Confidential.” Following in her celebrated father, Tom Wolfe’s, journalism footsteps, her columns have also appeared in New York Observer, Bloomberg Businessweek, Vanity Fair and Town & Country. Stay Thirsty Magazine was pleased to visit with her at her home in New York City for these Five Questions. 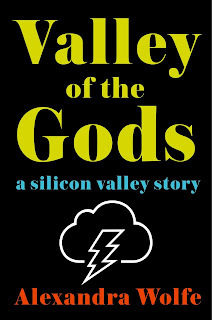 STAY THIRSTY: In your debut book, Valley of the Gods, you explore the people, the dynamics and the culture of today’s Silicon Valley. You come from an East Coast background of political correctness filled with “jackets and ties,” but you chronicle the computer world of ideas, disruptions and baggy jeans. Which world are you more comfortable in personally and professionally? Which world best represents the true Alexandra Wolfe? home. But I was quite seduced by the West Coast and the flood of ideas and innovation there and even considered moving there at one point. Ultimately I came to the conclusion that in order to really make I life there I’d have to do something different like learn to code. I never did—but it’s not too late! STAY THIRSTY: You refer to Silicon Valley as a laboratory of cultural experimentation. Your father, Tom Wolfe, was one of the founders of the New Journalism school of writing and explored the radical changing cultural landscape of the 1960s and 1970s. Are you following in your father’s footsteps as an explorer and a chronicler of new social orders? ALEXANDRA WOLFE: In my dreams! Actually, it’s funny, when I told him I had this idea to write about Silicon Valley, he said he’d written about the area back in 1983 in a story for Esquire called “The Tinkerings of Robert Noyce,” who founded Intel, and in it he too described the different social behavior out West. I guess back then they didn’t wear ties either! My father was reporting a book out there once and he was the only person in his hotel restaurant wearing a tie, so someone tried to give him a tip when he walked out one morning after breakfast. STAY THIRSTY: In your book, you write about the tenet held by some in Silicon Valley that the best companies come from entirely new ideas rather than copies of existing inventions. Did you find that to be true? Are ideas for new businesses a real or a false currency for success? execution and financial viability was highly undervalued when coming up with a new idea. The business plan often came last, which wasn’t considered a bad thing. STAY THIRSTY: Peter Thiel is a major figure in your book and you use his Thiel Fellowships as a microcosm of the millennial generation’s quest for success. Are the members of your generation who flock to Silicon Valley in search of riches and power just fooling themselves like so many young actors who move to Hollywood in search of stardom? ALEXANDRA WOLFE: I think that’s a very good analogy. The people in the Thiel fellowship probably had a higher success rate than the mass of young actors because they were all selected for being incredibly intelligence and ended up, through the Thiel Foundation’s network, being very connected to good mentors, but there was a real, often thankless, Silicon Valley mania to be an entrepreneur. STAY THIRSTY: How did growing up Tom Wolfe’s daughter influence you as a person, a journalist and a woman? ALEXANDRA WOLFE: He has always had an interest in sociology and anthropology, and I think his curiosity rubbed off on me. He’s also the bravest reporter (and person) I’ve ever met, so I really look up to his courage going into situations where he didn’t fit in at all, and managing to report such vivid details and discover new worlds and ways of behaving.